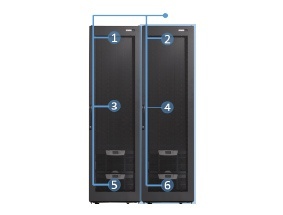 Packet Power offers the easiest and most cost­-effective way to fully instrument an existing data center to capture real­time data on power usage and environmental conditions. Our system allows you to start small and grow and does not require expensive electricians to install the monitoring units or consultants to customize the software. Our “plug and play” approach provides the shortest time from install to information of any data center monitoring system. Combine the installation cost savings with our low cost per monitoring unit, and Packet Power clearly offers the most cost­-effective way to add intelligence to your data center. Measure temperature at two points per cabinet where cooling capacity is fine, and at six points per cabinet where hotspots are a threat. Put monitors under the floor or above the ceiling, and monitor power at whatever combination of device, circuit, panel and switchgear levels meets your needs. No other monitoring system offers as much flexibility. Easily upgrade the equipment you have. No need to spend time and money removing existing equipment and worrying about whether write­-downs of remaining book value will be required. Running an Ethernet cable to a cabinet costs $150 to $300 when you factor in the cable, labor, switch ports and network setup. In a retrofit scenario, you have the added cost of removing the existing equipment. 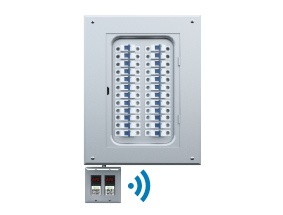 Packet Power’s wireless meters allow you to avoid all of those costs. Our EMX Energy Portal provides full support for real­-time alerts via email, SMS or private Twitter feed, and the unique “policies” feature allows alert criteria based on power or environmental condition to be defined once and applied to entire rooms. Packet Power’s monitoring devices work with hardware from any vendor and can easily support devices such as SANs, switches and mainframes that can’t be monitored with smart power strips. 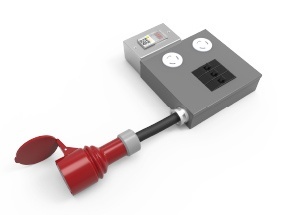 Need to isolate the monitoring of one portion of your installation? Our wireless technology makes it easy to provide network isolation, whether to meet stringent end customer requirements or to ensure that large facilities can manage multiple data halls independently from each other. As you add devices, the wireless network automatically finds and incorporates the new monitoring units, making it easy to deploy monitoring as quickly or as slowly as your needs dictate. By combining a low cost per monitoring point with the flexibility to measure heat at one to six points per cabinet, we make it easy to identify hotspots, optimize cooling, and track adherence to ASHRAE standards. 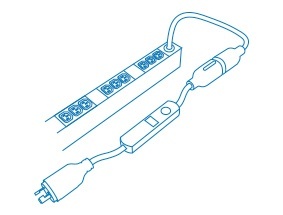 a basic PDU into a smart PDU. Spark Digital, a leading New Zealand data center services company, wanted to extend the power monitoring capabilities in their existing facilities. See why Spark chose Packet Power.